Is community leadership something folks are born with or something that can be taught? For Elinor Griffith the answer is clear. Griffith, a full-time student at Dearborn's Henry Ford College, is studying a subject of growing interest to universities and colleges in the region: community leadership. 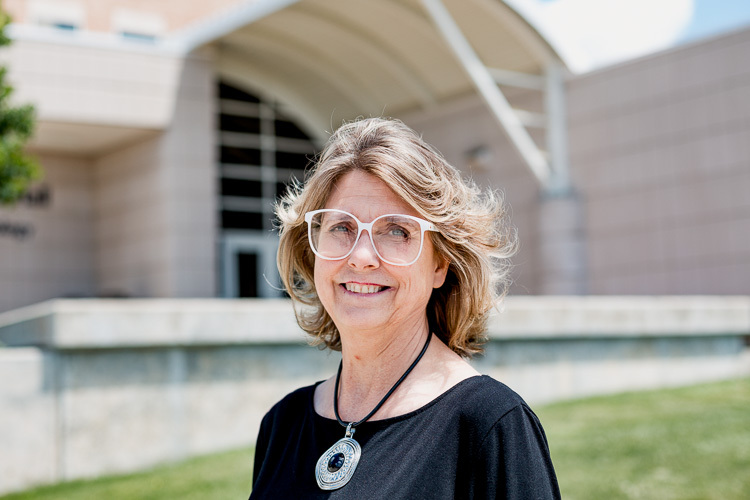 A 59-year-old former auto industry worker who lives in Belleville, Griffith decided to enroll in the college's Community Leadership program after hearing about it in a Political Science class. She has nothing but praise for the curriculum and Professor Robert Yahrmatter, an instructor and the project's coordinator. "He's opened my eyes to something I chose to be closed to for a lot of years," she says. "He's shown me different ways and different types of leadership and how they can apply to everyday being." Ultimately, her goal is to open up a homeless shelter and run it with the skills she's learned. Henry Ford offers both a certificate and an associate degree in Community Leadership. The curriculum include subjects like "Foundations of Community Leadership" and "American Government," as well as an internship. Students hone skills like public speaking and written communications and get first-hand instruction from local leaders. According to Professor Yahrmatter, the program is designed to assist "traditionally disadvantaged people, people of color, people of alternate lifestyles" by giving them "opportunities to move into leadership positions in nonprofits, government and the private sector." The program is carried out using a cohort model, where a group of students take several primary classes together. The school is currently organizing its third cohort; the previous one included residents of Detroit, Dearborn, the Downriver area and one student from the African nation of Malawi. So far there have been ten graduates out of two cohorts. Some have gone on to other learning institutions like Wayne State University, while other have become involved in various volunteer opportunities or political campaigns. Yahrmatter says Henry Ford wants to invest in areas where it draws its students from. And the professor himself is very concerned about mitigating brain drain in the region. "We have a desperate need for people who are committed and capable to help us in our renaissance," he says. "To come up with around a dozen a year who are committed to doing good things for Metro Detroit and Southeast Michigan. I call that a promising start." 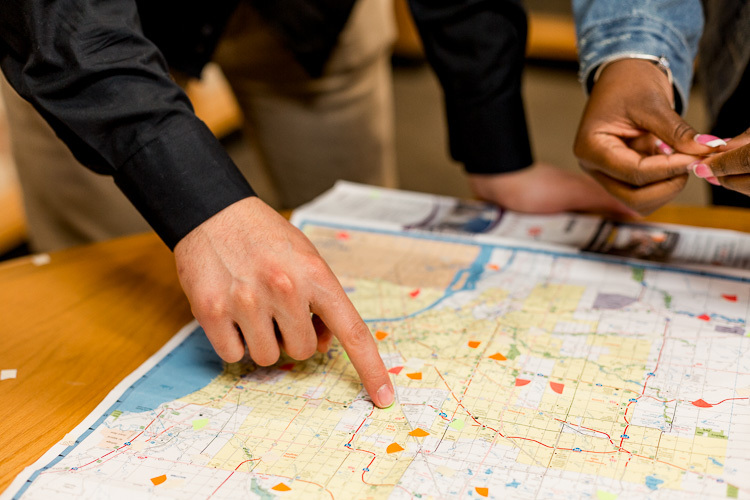 Momar Almadani and Yarnise Hines adding stickers to a map of Metro Detroit, indicating areas they have impacted through their studies. Henry Ford isn't the only institution providing this type of programming in the metro Detroit area. For example, Macomb Community College offers a Community Learning Partnership certificate, which teaches leadership, conflict resolution, and specific change agent skills. Now in its first year, the program currently has between 10 and 15 students. Both Henry Ford and Macomb are part of a national network of community change-oriented study programs called the Community Learning Partnership (CLP), which is made up of local academic institutions (starting with community colleges) and nonprofits, local governments, and philanthropic organizations to develop a pipeline and career pathway for credentialed grassroots community leaders. Deborah Pfliegel is the director of the Southeast Michigan CLP, one of seven sites around the country. Nationwide, the various programs work together to learn from and strategize with each other. The colleges are coordinating with other local institutions as well. For example, a student can earn an associate degree in Community Leadership at Henry Ford College and have the credits transfer to a minor in Community Change Studies at U-M Dearborn. "We're also working on those kind of partnerships between Macomb and Oakland University, and between Macomb and Henry Ford and Wayne State, so the students have this career pathway that goes all the way through to the Bachelor's degree," says Pfliegel. The interest in community leadership studies extends beyond the CLP program. 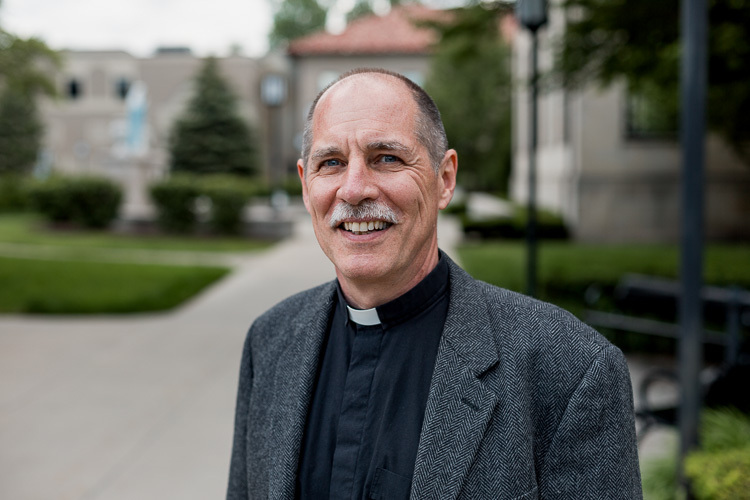 The University of Detroit-Mercy may be the oldest local practitioner of this type of programming; the private Detroit-based Catholic University has operated an Institute for Leadership and Service since 1995. Father Tim Hipskind, co-director of the institute, says its work is inspired by the Servant Leadership model of educator Robert Greenleaf, who thought leaders should be servants first, and guided by the principles of reflection, compassion, and social justice. While it's only open to U-D Mercy students, 85 percent of the student body are commuters from the region, a good many from Detroit itself. The institute provides leadership-related classes, a minor and honors program for undergrads, and a certificate and Master's degree for graduate students, not to mention a wealth of service opportunities and several optional programs specifically designed to boost students' leadership skills. Beyond that, the university tries to integrate the ideas of community service into all its classes; so students in a criminal justice class, for example, might study crime reduction strategies, and collaborate with neighborhood residents and businesses to implement them. "The idea is that we're trying to help all the students realize that in whatever they do, wherever they go, they can be oriented towards building a better community," says Hipskind. Oakland University's community leadership program is more tightly focused. Last fall, the Rochester-based educational institution began offering a nonprofit management certificate. Its curriculum is taught by local nonprofit leaders and includes classes like "Management Best Practices" and "Financial Management & Accountability." The courses, run using a cohort model, are open to anyone regardless of educational background. "It's capacity building for the community," says Suzanne Rossi, the program's coordinator. "[Nonprofits] need to know how to run their organizations more efficiently, because it's all about that now. All the people that are funding nonprofits, they want their metrics. They want things that traditionally nonprofits didn't know how to do." The new certificate program dovetails nicely with the OU-Pontiac Initiative, a mutually beneficial partnership between the university and the nearby city of Pontiac whose elements, among other things, includes sponsoring urban improvement town halls for local faith groups, planting community gardens, and establishing a pathway to OU for students of Pontiac schools. Dean Kevin Corcoran of OU's College of Arts and Sciences says these endeavors come out of an effort by the university to find an identity for itself that fits into the contemporary landscape. "We're not the University of Michigan. We're not the land grant institution in the state. We're not Wayne," he says. "This idea of a middle-sized university that focuses on the needs of its community and gives its students experience quite frankly builds support in the community. The community says, 'We're getting something out of that university.'" Lawrence Technological University (LTU) is getting creative with its community engagement efforts. The private Southfield-based university recently approved the creation of a Master of Fine Arts Degree in Social Practice. In the context of the degree, Social Practice is a way of using art and design to impact positive change in public space and communities. The 60-credit hour multidisciplinary program is geared towards grad students who want to use creativity to make a difference. Detroit high school students will also be participating and will get free college credit for their efforts. 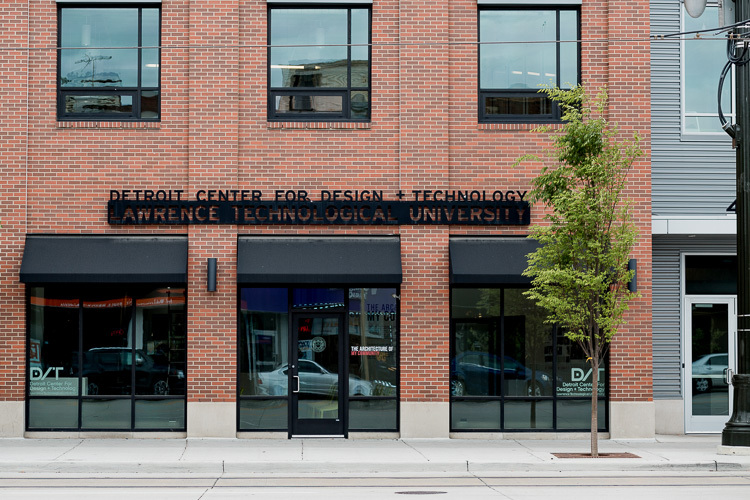 The MFA program will be based out of the university's Detroit Center for Design and Technology at Woodward and Willis in Detroit. Some courses will be focused on best practices for community arts engagement, while others will lean towards individual arts activism. Lawrence Tech Detroit Center campus in Midtown on Woodward. LTU assistant professor Steve Coy is spearheading the project. He's excited about the prospect of involving high school students. "I want the program to have graduate students and duly enrolled high school students earning pre-college credits," says Coy. "So youth can not only learn disciplines in art and design but also become invested in the future of their public space. Because I think often they get left out of the conversation in terms of development." Coy sees the degree as a career pathway for students to become publicly commissioned artists, educators, community arts organizers, city or foundation art liaisons and more. It's clear something is happening in Metro Detroit right now in regards to academic institutions making an effort to provide local residents with the skills they need to give back to their communities. Pfliegel sees these trends towards community leadership as institutions responding to community needs in a way that takes contemporary thinking on social change into consideration. "Current leaders are aging out and retiring," she says. "In the past, leaders have not come from the community, so they haven't always had the DNA of the community. Many leaders who have come from the community in the past haven't had the credentials that make them competitive candidates and haven't had the tools that could make them stronger leaders [and] current social justice and inequality issues have put a spotlight on the need for community activism."